Unbelievable wide open 180 degree Mountain range, City lights & sunset views. You will be surprised what a fabulous view you can get for only $619,900! Single level, no stairs due to elevator from garage to 2nd floor. Spacious 1247 square foot 2 bed, 2 bath . Vaulted ceiling, walls of glass lead to the charming 20 foot long balcony. Master suite is nearly 250 sq ft, other bedroom & bath on opposite wing. Open living & dining room with lots of light and high ceiling. In unit laundry. No unit above you. 2 pets allowed, dog 20 lb weight limit. So close to all upper state street restaurants, shopping & services. Championship 18 hole golf course just across the street. Security building adds peace of mind & comfort. 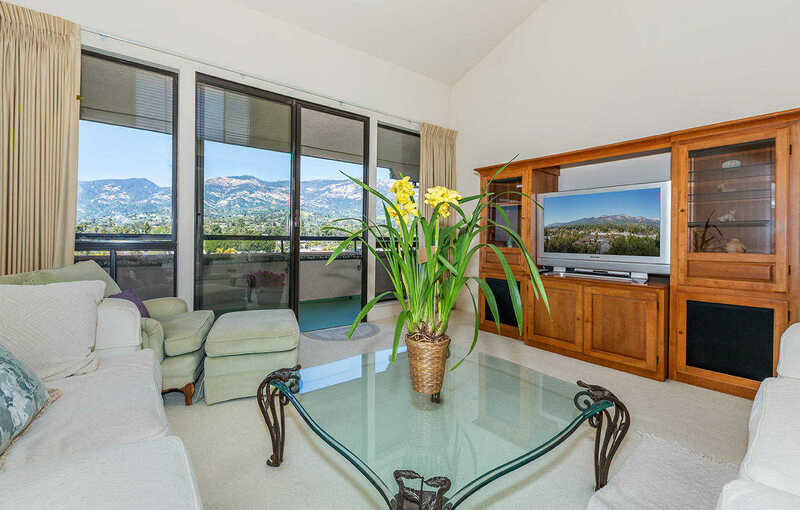 Please, send me more information on this property: MLS# 19-1045 – $619,900 – 3340 Mccaw Ave Unit 204, Santa Barbara, CA 93105.